Recently the internet and humanitarians world over went in uproar at the unveiling made by CNN of the ongoing slave trade of immigrants in Libya. Blacks selling fellow blacks! As expected the hashtag became a trend on many online social platforms with many more discoveries and tales of woe from victims alike. Many took it further to the various Libyan embassies in their country. The local media recorded the return of thousands of Nigerians 97% being youths back to the country from Libya! The sad truth is what are they returning back to? The same situation that led to them paying their hard earned money to “escape” the average Nigerian Youth reality, but which only led to captivity, slavery and for some death? Youth poverty due to gross unemployment and under employment, unfavorable policies or poorly implemented youth focused policies, political marginalization, poor amenities where quality health and education is a luxury, are a few of our challenges which is common knowledge and evident for all to see. However, reciting them or brooding over them would not make the price of fuel or common garri to come down. We need to take proactive measures not just listing the measures but personally going the extra mile to activate them! Many initiatives have been set up in a bid to tackle this reality, but with a population nearing 200million with youths making up over 60%, more scalable and sustainable interventions are needed! Economic empowerment of youths has a ripple effect on even governance and the state of the nation from every angle. Corruption and poor leadership thrives because many youths are impoverished and the cost of a political ambition for a young person is high. This reality can be changed if we are Geared Up! to seize the future today! The core aim of this initiative is to empower youth entrepreneurs to create jobs and value for all by leveraging the power and reach of media to try change our narrative as Nigerian youths. The major challenge of the average Nigerian youth entrepreneur is primarily access to funds and advisory support towards the establishment of a scalable and sustainable enterprise. Unlike most economic empowerment initiatives, this project is driven by a network of young Nigerians from all walks of life and realities, who are fed up with the status quo and are willing to go the extra mile to change the narrative by developing ideal businesses or ideas that have the capacity to generate exponential returns and create jobs massively – directly and indirectly. Comprising of an advisory board and project team of individuals with track record in advancing youth capital development, the selected businesses / ideas for the project roll-out cuts across various industries and sectors such as agriculture, environmental / waste management, digital technology, education, hospitality, sports and tourism. Access enterprise advancement support e.g sales facilitation, service boost etc. Facilitate strategic bootstrapping of these businesses or ideas to ensure growth and ability to internally generate needed funds for scale up. It is worthy to note that some of the business entries were selected and won the Don Etiebet Innovative Prize Award even before the full project rollout. This is a clarion call to well meaning individuals world over to help our audacious goal of changing the average youth narrative and driving economic growth. 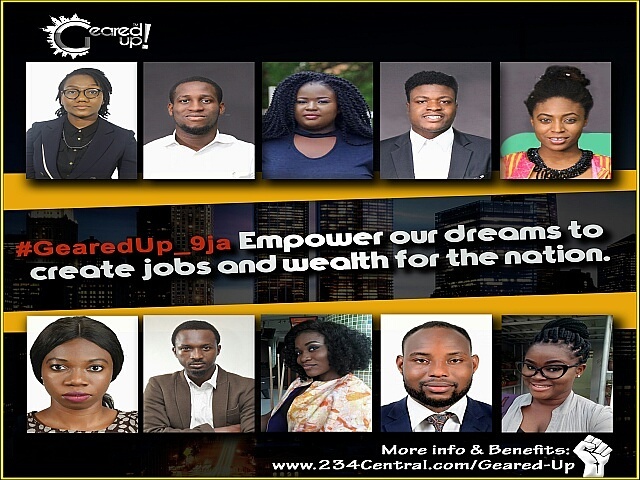 #GearedUp_9ja …Let us seize the future today! Press Release: Book Launch of "Quills from Africa 30:Long Walk to Home"